The Creality CR-10S is an improved version of the popular CR-10. 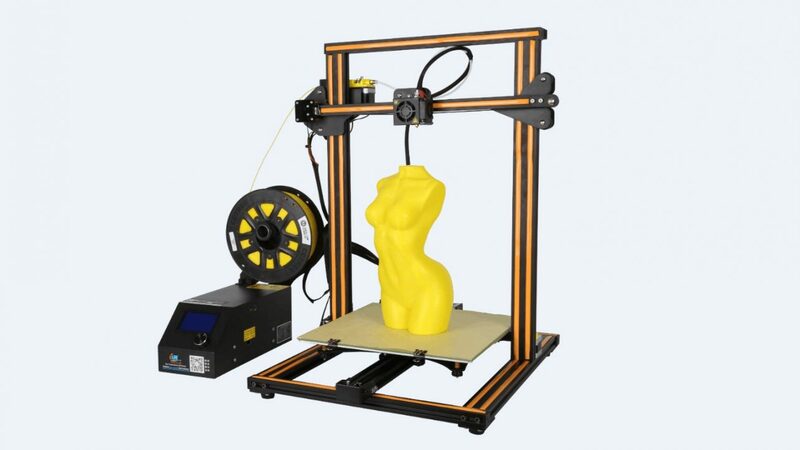 Let's lead you through the improvements and review the specs of this 3D printer. When the Creality CR-10 came out in mid-2017, it became an instant hit in the 3D printing community. The huge build volume and the low price hit a sweet spot with consumers worldwide. Since then, the Chinese manufacturer Creality made a lot of improvements and modifications to the popular printer – and most of them can be found in the model “Creality CR-10S”. Let’s see what difference a small “S” can make. Creality CR-10S – Review the Specs What’s Special? 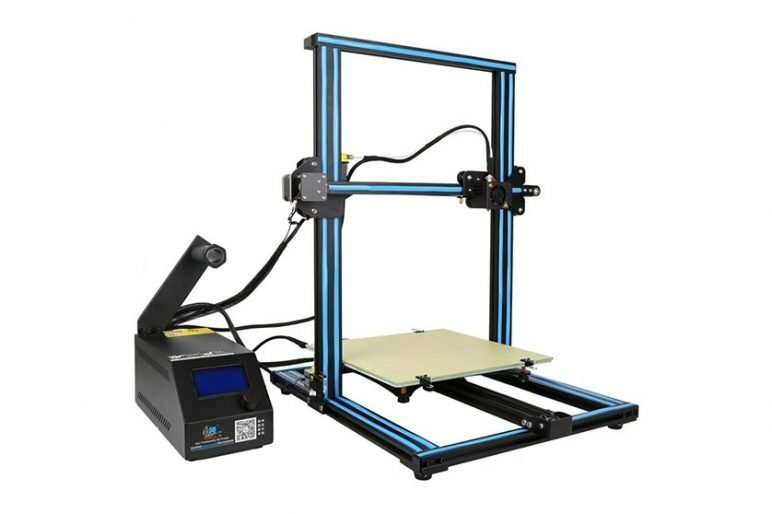 It comes pre-assembled: Although being marketed as a 3D printer kit, the Creality CR-10S comes mostly pre-assembled. All you have to do is to mount the Z-axis to the base, connect the cables and you’re ready to 3D print. This shouldn’t take longer than 30 minutes. 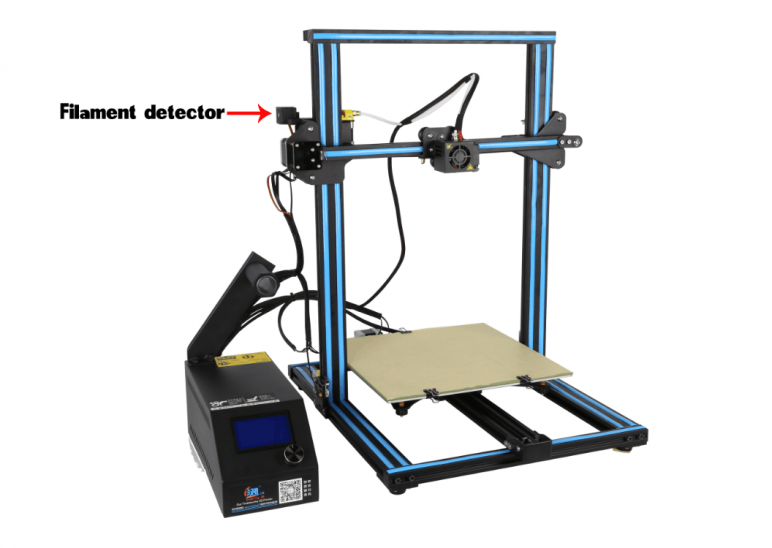 Filament Runout Detection Sensor: This is a new feature that‘s found more often with Chinese 3D printers now. You run the 3D printed sensor between the spool and the hotend. If the filament runs out, the mechanical sensor picks up the information and pauses the print, so you can resume later. This is one of the major improvements of the Creality CR-10S 3D Printer. External control board: As with Creality CR-10, the power brick, the RAMboard, and controls are located in a separate external “brick”. The spool holder is mounted on top. The heated bed now also uses a MOSFET for electrical safety. Connections: Connection-wise the Creality CR-10s offers a Micro-SD card slot and a USB slot. Removable glass bed: The bed can easily be removed to pluck the print off. Also, Creality throws in a spool of Kapton tape if you don’t want to print on the bed directly. Improved build quality: In comparison to the Creality CR-10, the quality of the parts has been ramped up in the Creality CR-10S. Instead of using 3D printed components, the frame uses injection-molded parts and aluminum rods. The rest of the mechanical parts are identical to the Creality CR-10 and Creality CR-10 Mini. But what are the differences between all the CR-10 models? Currently, there are five models you can buy. Creality CR-10: This is the standard model that came out early 2017. 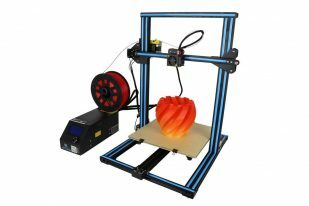 It‘s currently the most affordable model but comes without a filament sensor. Also, most of the components aren’t improved. Creality CR-10 Mini: The build volume is slightly smaller (300 x 220 x 300mm instead of 300 x 300 x 400mm), but overall, you get an impressive feature set. Creality CR-10S: This is the updated version of the Creality CR-10. It costs slightly more than the CR-10. Creality CR-10 S4: This one has an even bigger build volume of 400 x 400 x 400mm. Otherwise, it‘s based on the Creality CR-10S. Creality CR-10 S5: Yes, it gets even bigger. It comes with a build volume of 500 x 500 x 500mm. It‘s the tallest in the series. You can buy the printer from popular online stores. You can reach the Chinese manufacturer Creality on their English homepage. If you have questions regarding the 3D printer, you can apply for the user-moderated Facebook group. License: The text of "2019 Creality CR-10S – Review the Specs" by All3DP is licensed under a Creative Commons Attribution 4.0 International License.